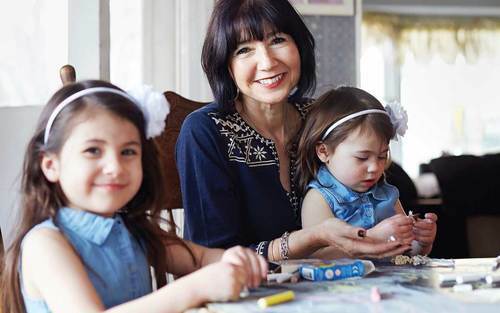 I would like to contribute to a 529 plan for each of my grandchildren. Can I contribute to the accounts my children have set up? Or must I set up my own? Jon. Timothy is spot on. Also look for someone who will offer full disclosure of all fees. Hi Jon. You have come to the right place! The first thing you want to do is understand how and how much your advisor is being paid. Some get paid on commissions from the products they sell while others charge you a fee. Some do a combination of both. Fee advisors may charge you a percentage on assets that they manage for you (1% is a pretty good starting place) while others charge you by the hour or project. The advisors on this board are all fee only so you know what we think is best. Go to www.napfa.org and check out advisors in your area by visiting their web sites. When you see one who appears to meet your needs and budget, CALL and learn more and set up an appointment. A lot of advisors offer a no cost introductory meeting. If at the meeting, you like the advisor and trust him and are confident that he can do the job you need and you are comfortable with how and how much he charges, you found your advisor. At the NAPFA website, there is a questionnaire that you can use to help find the advisor who is right for you. Hi Rose. It's your choice. If set up on your own you maintain control, and depending on your state (and if you are still working), you may get a tax benefit. Rose, you should be to contribute to 529 accounts that your children have set up if you stay under the $14,000 annual gifting limit per person. Now depending upon which State you are in will determine whether you will want to set up separate 529 plans for grandchildren to contribute to for State tax deductions. www.kiplinger.comFive key credentials every financial adviser should have. www.kiplinger.comCovering educational expenses is one of the best gifts you can give, if you go about it the right way. Here are six strategies. Some 529s also allow for front-loading of the gifting limits, where you can do five years worth of the annual gift in one year. Go to www.savingforcollege.com to learn more about specific state plans. When I die, my wife, who is younger than I am, will inherit my IRAs. I am already taking the RMD. Will her RMD be based off of my life expectancy or hers? Ed, when a spouse inherits an IRA, he or she may treat it as an inherited IRA or he or she may treat it as his or her own. In either event, her payments will be based on her life expectancy. I am receiving a Social Security survivor benefit based on my ex husband's record. I am remarrying. Can I continue to receive the survivor benefit? Jane, is your ex-husband living or deceased? Jane- "If your widow or widower remarries after they reach age 60 (age 50 if disabled), the remarriage will not affect their eligibility for survivors benefits." 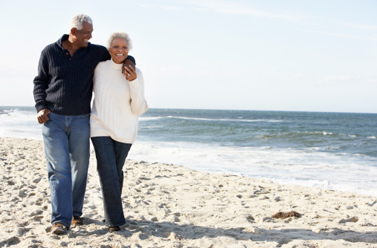 Your remarriage after age 60 does not prevent you from being entitled to benefits on your prior deceased spouse's Social Security earnings record. Thank you all. Out of curiosity, would that have been different were he still alive? Yes, if he were still alive, I believe you would not be able to remarry and still collect on his record. Hi! I have a small traditional IRA that I'd like to convert to a Roth IRA. I don't have much available cash. Is it possible to use part of the money in the IRA to pay for the cost of the conversion? Is that a really bad idea? Hi Nicole. Yes, you can use part of the money to pay the taxes. In our experience, it is better to pay the taxes separately because more of your money in the IRA remains invested. It's hard to answer whether it is a bad idea, because we do not know the details. You should ask someone to do an analysis so you can make an informed decision. If you are under age 59.5, the money you take out of the IRA to pay the taxes would be taxable and would generally have a 10% early withdrawal penalty as well. So it's probably not a good deal financially for you if that's the case. If something were to happen to my new husband, would I then be able to collect his Social Security? Or are there restrictions I should be aware of? You cannot collect on multiple spouses and that's a good thing! I believe you would be entitled to the highest benefit between the two. be based on that amount. be larger than your widow’s benefit. You can’t get both. decide which would be best for you. If I received an inheritance, does that count towards the Social Security earnings test? Ken, only earned income counts against the earnings test. My son is working a part-time job while in college. Can he/should he contribute to a Roth IRA? Ken, two rules here. One is earned income test for possible reduction of benefits if collecting before your full retirement age. Inheritance would not impact this test. The second test is taxation of Social Security benefits due to modified adjusted gross income. If the inheritance includes distributions from IRAs or annuities this could increase your taxable income. Normally inheritance of other assets isn't included in taxable income for the inheritor. Emily. He sure can if you can convince him to do so. He may contribute up to $5,500 or 100% of his earnings whichever is less. Hi Emily. He can and if he can "afford to" he absolutely should. By afford, I mean can he still live comfortably while socking away a portion of his part-time pay to a Roth. Emily if Son's cash flow allows starting Roth IRA contributions as soon as possible would be a good idea. Could I give him some of the money to put in the IRA myself? Emily, yes you can gift up to $14,000 per year per person. Emily. Yes. He cannot, however, contribute more than he is earning. How much Money do I need to self insure LTC insurance for my wife & I? Emily, He must have earned income in order to contribute to any IRA. If he has a part time job and he spends everything he makes, you can still "give" him money to contribute to a an IRA. David is right when he says you can gift up to $14,000 but don't confuse that with the contribution limitations on the IRA. About enough to buy your own nursing home.. :) or over $2,000,000 of invested assets. 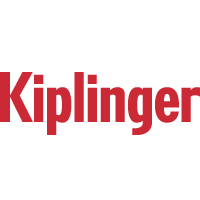 www.kiplinger.comWe help you navigate the maze of choices to get the best deal. I am looking for some good advice. I am 39 years old and am getting a very late start on retirement savings.. I only have $1116 in a 401K from an old job. What recommendations can you make to someone like me? Is it possible for me to make up for lost time, and if so, what should I do? Thank you!